Many writers throughout history have drawn inspiration from their natural surroundings. These writers tried to find an understanding of their society through nature. They reached out to the wilderness to draw inspiration in their thoughts and while doing so created memorable works of literature that gave us all passages to reflect on. One of the most well known naturalist writers was Henry David Thoreau, whose book Walden, became a literary manual espousing the virtues of personal independence, social experimentation and spiritual discovery. Thoreau wrote Walden during his two year stay at a cabin of his own making on the land of Ralph Waldo Emerson — a friend and writer. Thoreau’s plan was to isolate himself from the typical daily life of the time. His intent wasn’t to cast himself out of society – in fact the cabin, although secluded, was just a few miles from town – but rather to step outside the daily social structures of the time in order to better understand why and how society functioned. His writings on his experience would later influence prominent public figures such as Mahatma Gandhi, Martin Luther King, Jr., and John F Kennedy. Other great naturalist writers followed. Like Janine M. Benyus who wrote six books on bimimicry, the basic idea that humankind could look to see how nature solves problems and apply those designs and constructions to solve our own. Or Edward Abby, an American writer and advocate of the environment who brought the world, “The Monkey Wrench Gang”, credited with stirring the idea of environmental activism through civil disobedience. And there was Aldo Leopold who devoted his life to extending the constraints of ethics to include the non-human world of plants and animals. His works would eventually lead to the creation of the science of wildlife management. These are but a few. There are many others. All who have contributed to the way we see ourselves and nature. Tonight (Saturday, March 19th) we have a chance to gain some inspiration of our own from nature when the moon reaches a phase called perigee. Perigee is the point in the moon’s orbit when it’s nearest Earth. The last time it happened was 18 years ago. At a staggering distance of just 220,000 miles away, tonight’s moon will appear much larger than most full moons — nearly 14 percent bigger than when the full moon is at its furthest from the Earth. And bigger means brighter, nearly 30 percent brighter. Which means you will have plenty of light to reflect on life and how we live it. And plenty of light to write by. But, which pen is best for such an occasion? I’d like to suggest the Omas 1969 Moon Platinum Plated Fountain Pen. This ogival shaped pen commemorates the American crew of Apollo 11’s space mission. The pen barrel represents the Moon, with the footprints of Neil Armstrong and Buzz Aldrin, stamped in 3D on the surface. The flight path of the Apollo 11 module is carved on the pen clip. Their amazing journey is charted in a band that circumnavigates the barrel starting at Earth – represented by a lapis lazulis stone and ending at the moon. A fitting pen for a fitting moment in time. The federal government is at the end of its second week of being shutdown, with over 800,000 federal employees out of work. These folks include a portion of those who work in the District of Columbia, those who work at the Smithsonian museums, Pentagon workers, NASA employees, anyone who has a job at the many state parks around the nation, those who help facilitate the food stamp program, the good folks at the Justice Department, non-essential employees of The White House, workers at the State Department, those at the IRS and many, many more. Although these agencies still have some employees carrying on the daily duties, it’s clear that with 800,000 workers not at their desks, much is being missed. The effects of a government shutdown aren’t always clear to the general public at first. In fact, the effects of a shutdown grow over time. The first week we might not notice anything more than an overactive 24/7 news cycle spinning and re-spinning pundit comments like stones in a rotating drum until each one comes out polished and perfect. The second week brings more of the same, but with a little bit more urgency. When exactly those of us not in the government begin to feel the drag of these decisions is not clear. What is clear is that we will feel it if it isn’t fixed. In a tiny effort to keep our minds on what binds us, instead of what pulls us apart, Executive Essentials is highlighting a ‘few good pens’ of the red, white and blue variety that are currently on sale. Pens that even furloughed government workers can afford and that could be used to write letters to Congressmen in hopes of urging them to do what’s right for their country, instead of what’s right for their politics. The Arte Italiana Collection is a tribute to the original twelve faceted model designed by Armando Simoni in 1930. This pen is made with highly modern materials giving it a glossy glow and exquisite finish. Practical, yet refined, this pen is currently a fraction of its original cost. The platinum-plated finish on the highlights brings a subdued richness to the overall look that is designed to mimic a twelve-sided Doric column. The rolling wheel clip makes it easy to stow and retrieve for those busy days. Every politician has it in spades, but it’s not a trait reserved solely for those who seek office. Ambition is a trait that dwells within all of us and guides our hand on a daily basis. Those who have buckets of ambition can manage great feats or fumble hard, ruining their lives and the lives of those around them. 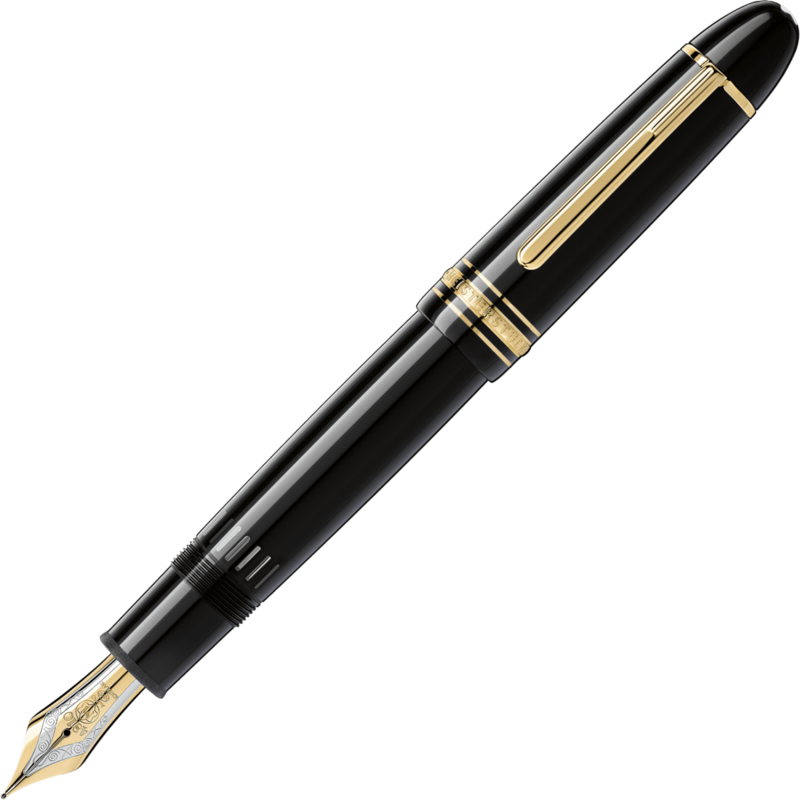 Ambition needs temperance and this Faber-Castell fountain pen has it. A sleek barrel of stainless steel comes off as modest, but the pen clearly exudes a higher calling. Nearly futuristic it has a calm and cool vibe, but a clear purpose. The Waterford Claria is a great looking pen at a fabulous price that most can afford. From the Marquis Collection, this pen has silky smooth contours and a hearty, substantial feel. It’s a durable pen with a body smothered in lacquered finishes making it resilient and good for daily use. With gleaming chrome appointments and a lift-off cap, it’s a perfect blue in our tribute to the triad of the flag. These fine pens and much more are available at Executive Essentials, so take some time and look around.